Since the charity launched in 2000, our crews have treated patients at the roadside, in the city, on the beach, maybe near where you live. Read about our latest missions. The time of day or night should not determine what level of emergency critical care you receive in a life-threatening situation. We need your help to become a 24/7 service by 2020. While completing a degree in Aerospace Engineering, Rosh was employed as an engineering assistant at Redhill Aerodrome. 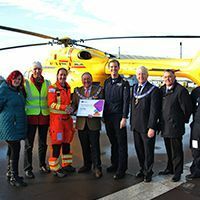 Since then Rosh has gone on to fly for the Offshore Oil Industry, the International Bristow Helicopters and most recently, the National Police Air Service. Sue was helping a friend by cleaning out dog kennels and making sure the animals had water in October last year. She had already looked after seven of the animals but when the got to the eighth - a 90kg rescue dog - it grabbed her right arm and would not let go. Just 2 week left to Join the EAAA Spring Raffle! Be in with a chance of winning £3,000 cash. Last chance to play! The Great Glasswells, who hosted a Charity Quiz Night and raised raised £950 for EAAA. Eighteen teams, made up by staff at Glasswells, met to battle it out for the coveted title of Quiz Team Champions 2018. Thank you to all who took part. 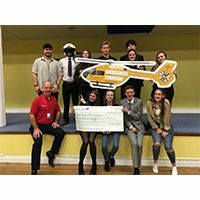 County Upper School, Bury St Edmunds - In just eight weeks students have raised a total of £15,493 for 5 local charities – EAAA received a whopping £3,000! 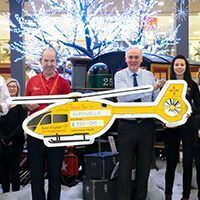 Cambridgeshire Freemasons, long term supporters of EAAA, presented us a cheque for £4,000, bringing their total donated to EAAA so far to £32,000. Bedford Prep School raised an amazing £2,749.51. 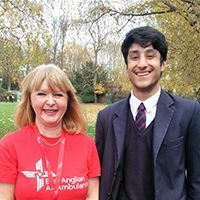 In the photo is EAAA volunteer Lynn and student Gurkaran who had previously been treated by EAAA. Monica Mickleburgh is one of our volunteers but also fundraises for us. 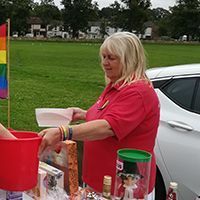 In 2018 she raised an incredible total of £2,700 which brings her overall fundraising total (since 2006) up to £21,051. Thank you to Monica for all her support. 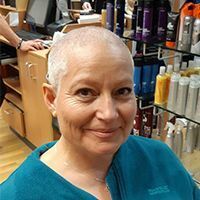 Denise Howes is a truck driver from Woolpit in Suffolk who very bravely raised over £3,600 for us by having her head shaved in November. Thank you, Denise!